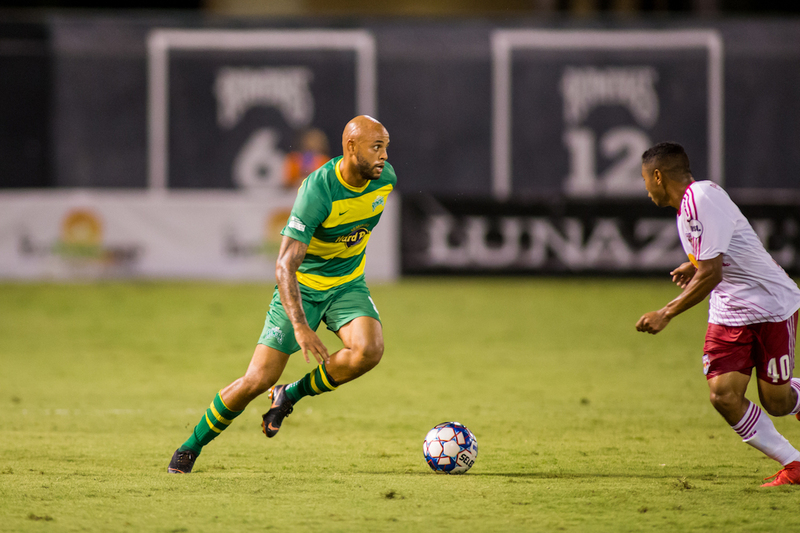 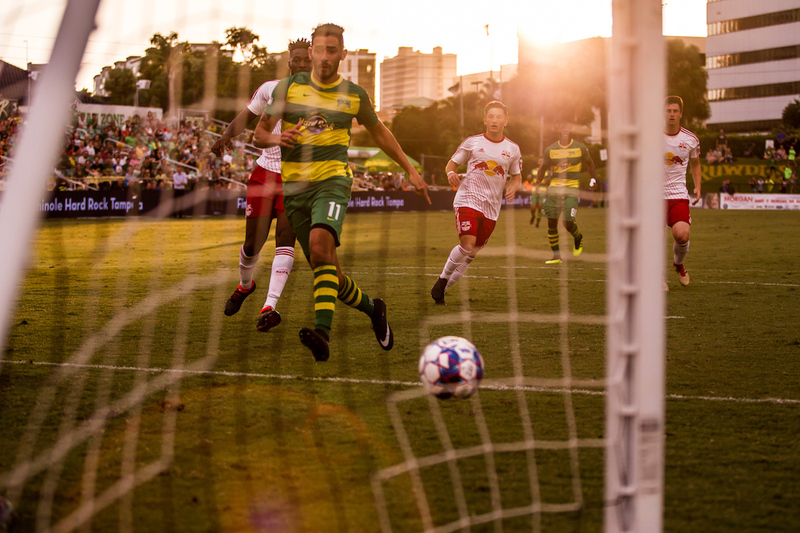 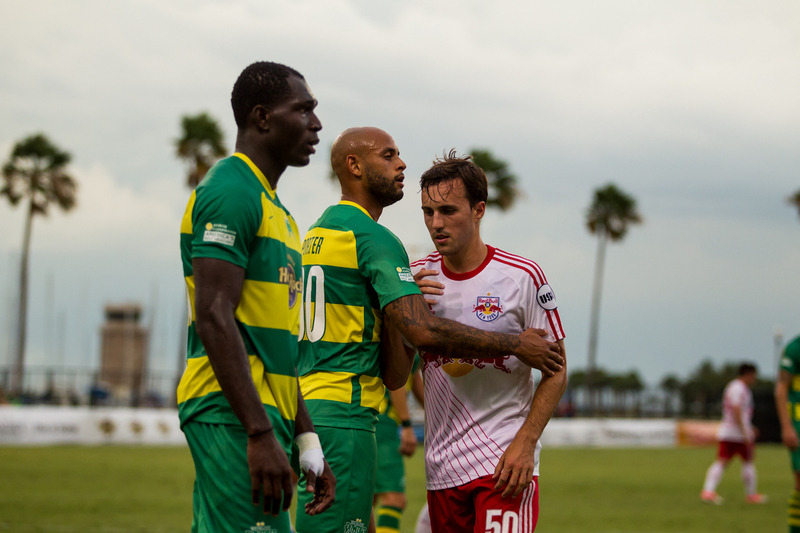 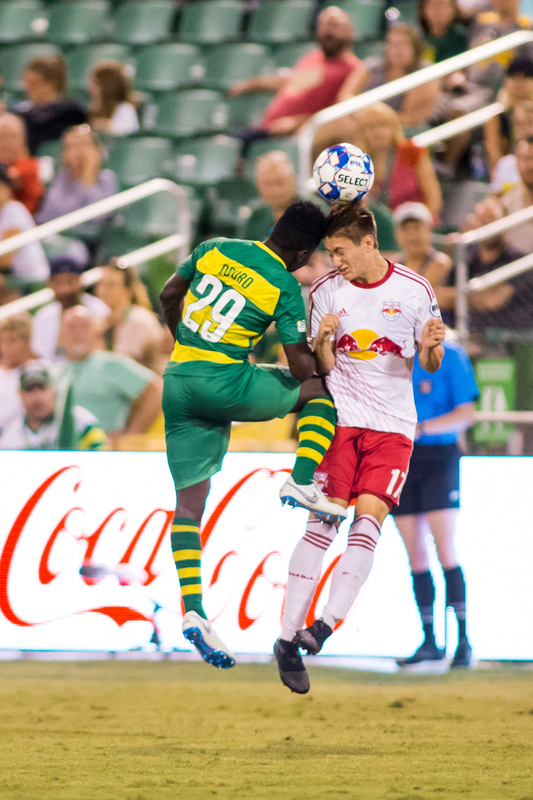 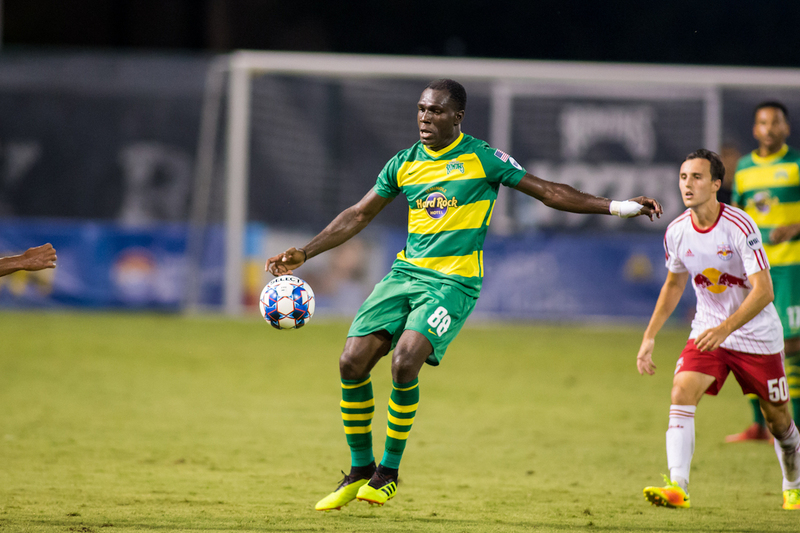 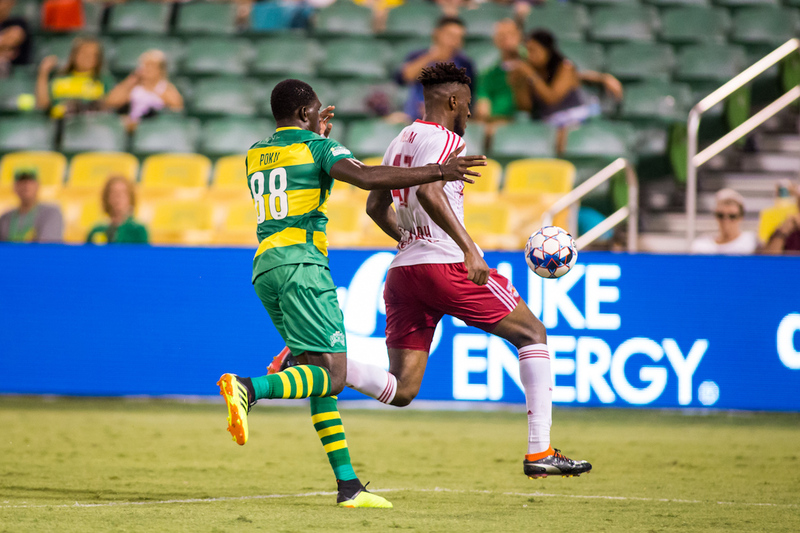 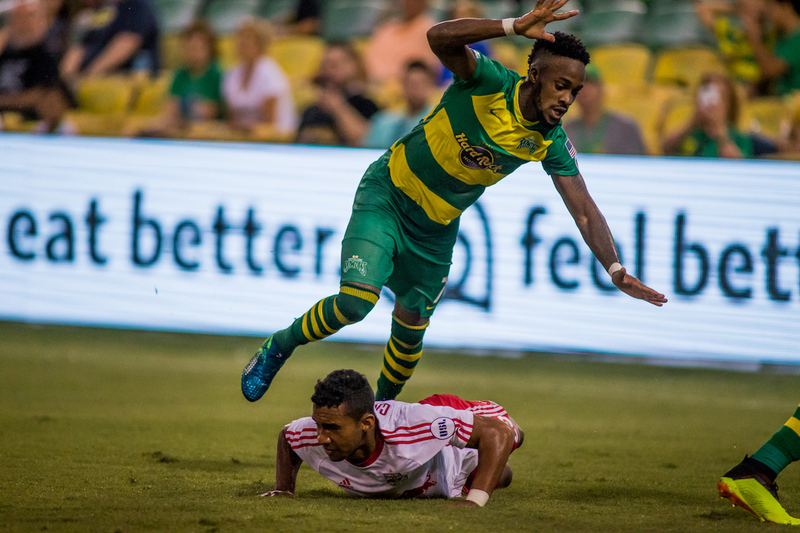 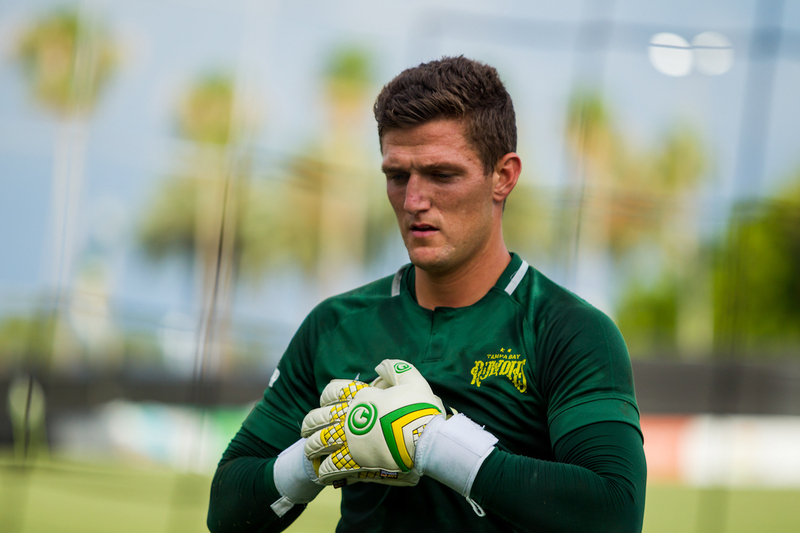 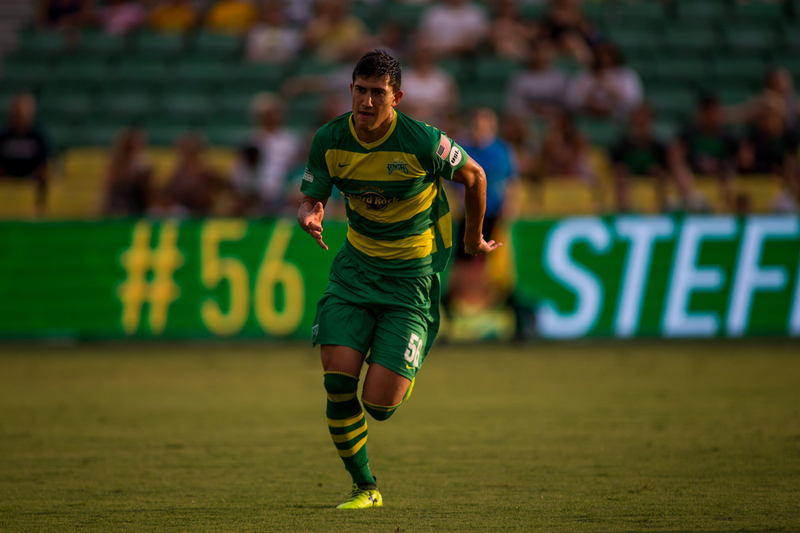 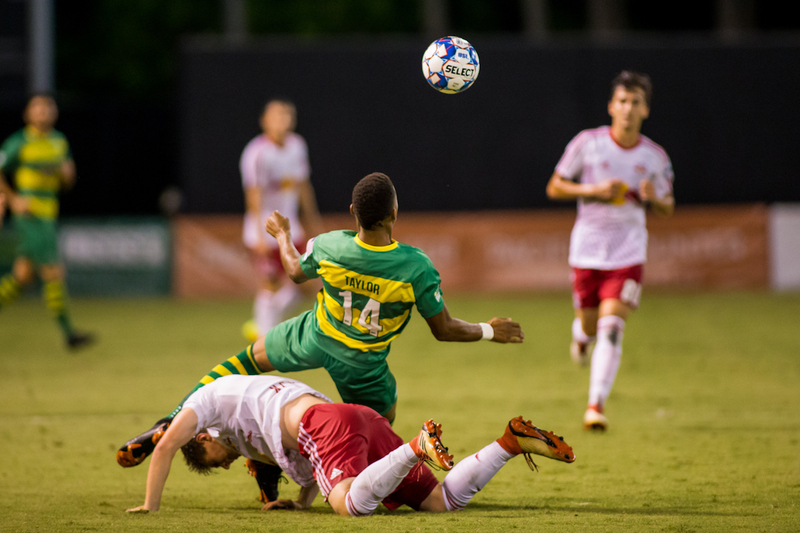 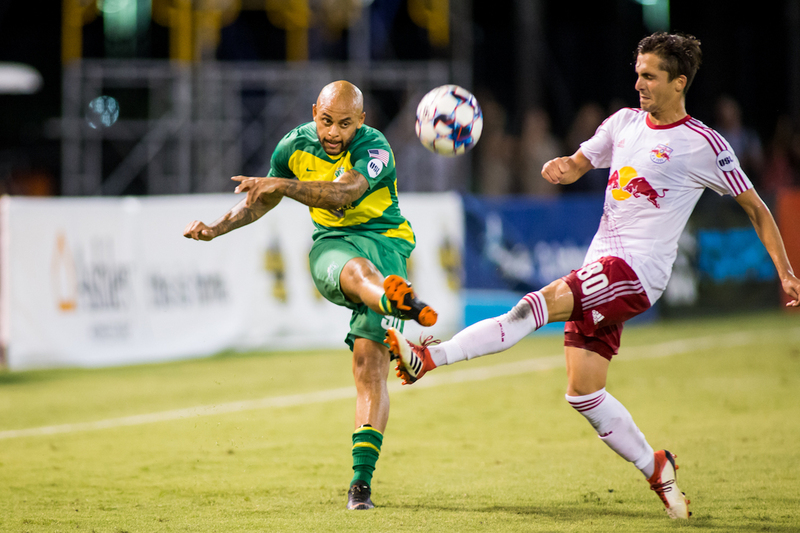 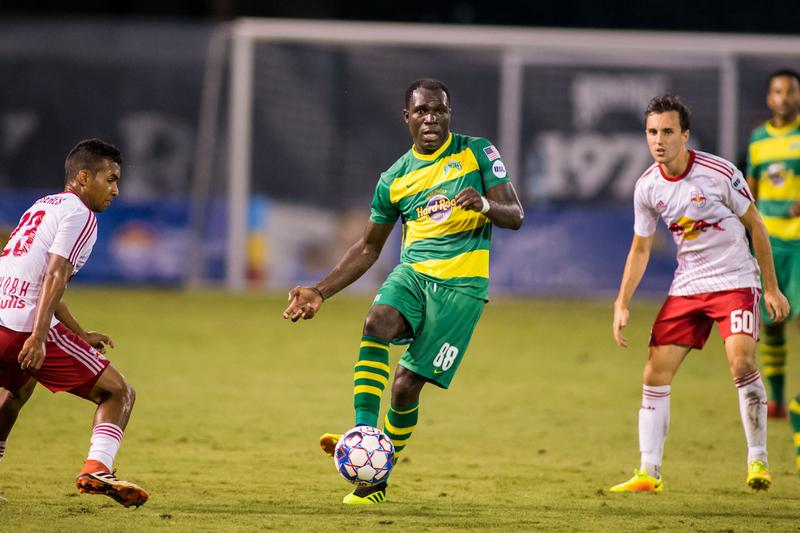 ST. PETERSBURG, Fla. — A pair of controversial dismissals derailed the Tampa Bay Rowdies’ night on Saturday as they settled for a 2-2 draw against the New York Red Bulls II at Al Lang Stadium. 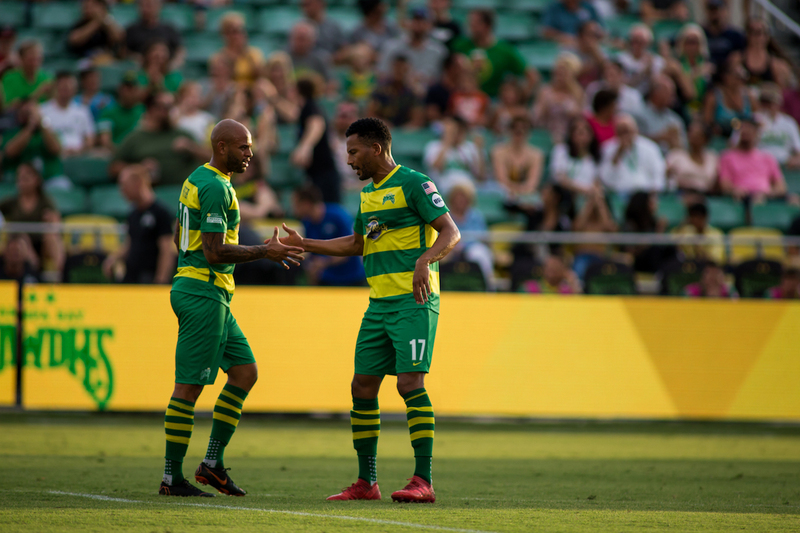 The Rowdies led 2-1 after a wild opening 10 minutes and retained that lead until first-half stoppage time when the match took a sudden turn. 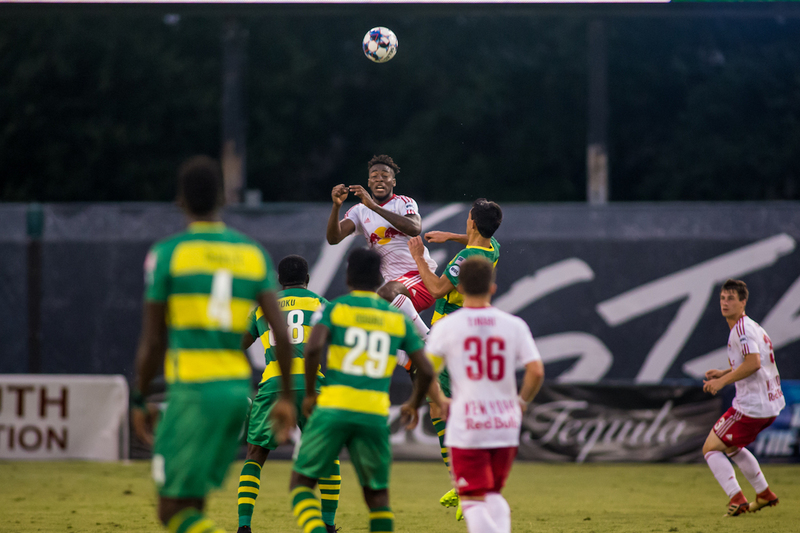 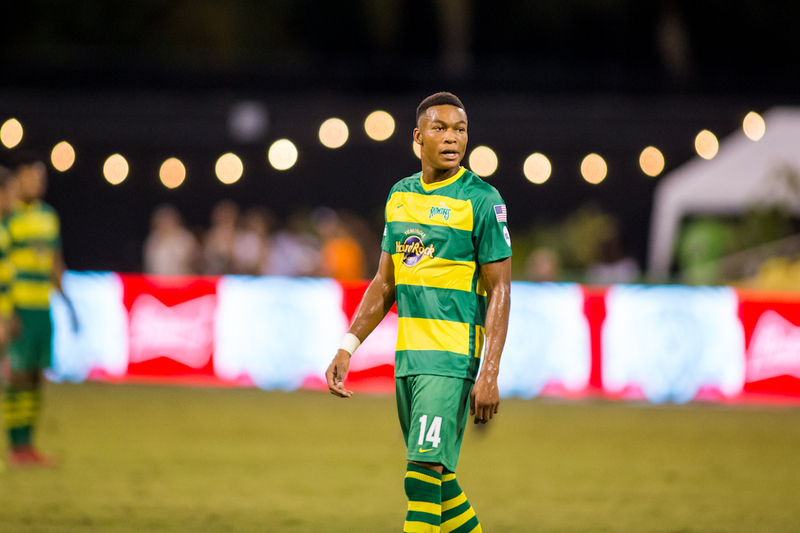 In the ninth minute of added time, Rowdies midfielder Junior Flemmings was whistled for a foul against Red Bulls midfielder Cristian Casseres Jr. Flemmings was shown a straight red card and ejected from the match, with Tampa Bay Head Coach Neill Collins ultimately being dismissed as well for dissent against the decision, which he felt was made because of the dramatic reactions from Casseres and the New York bench, rather than the foul itself. 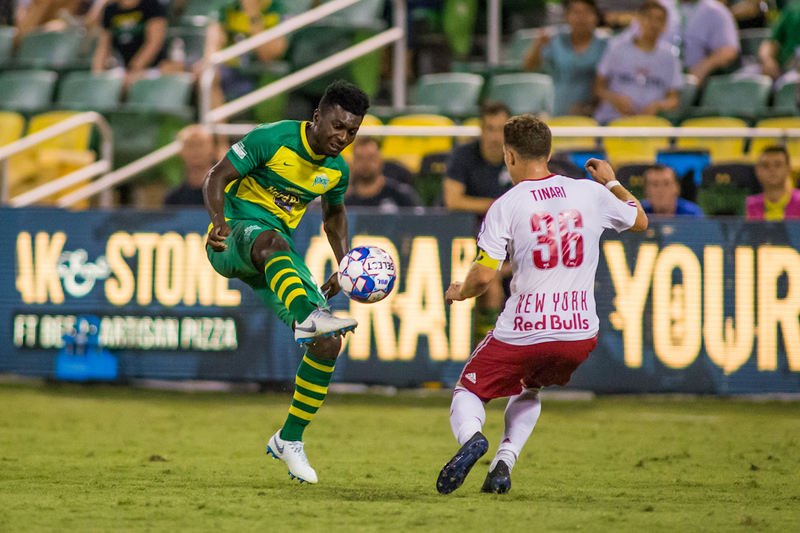 Playing down a man and without their head coach on the sideline, the Rowdies (7-8-5, 26 points) faced an uphill task to protect their 2-1 lead and win the match. 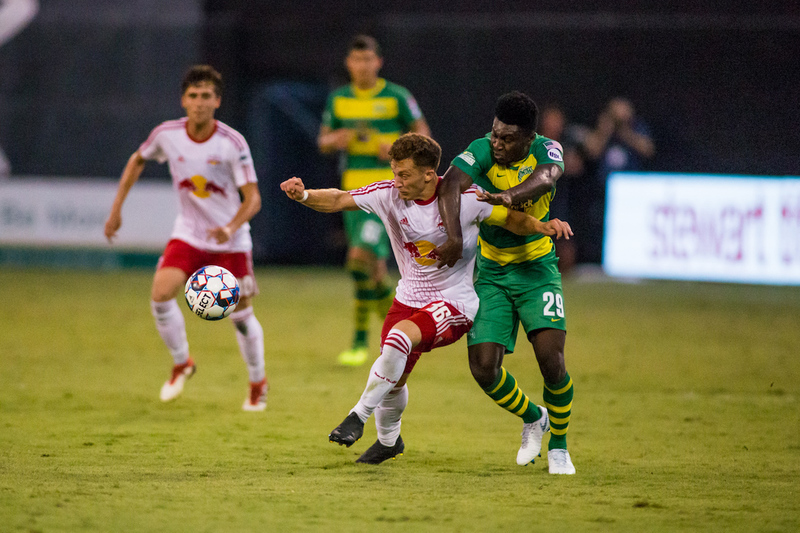 New York (8-6-8, 32 points) had 77 percent of the possession after halftime, but the Rowdies got past the hour mark without conceding. 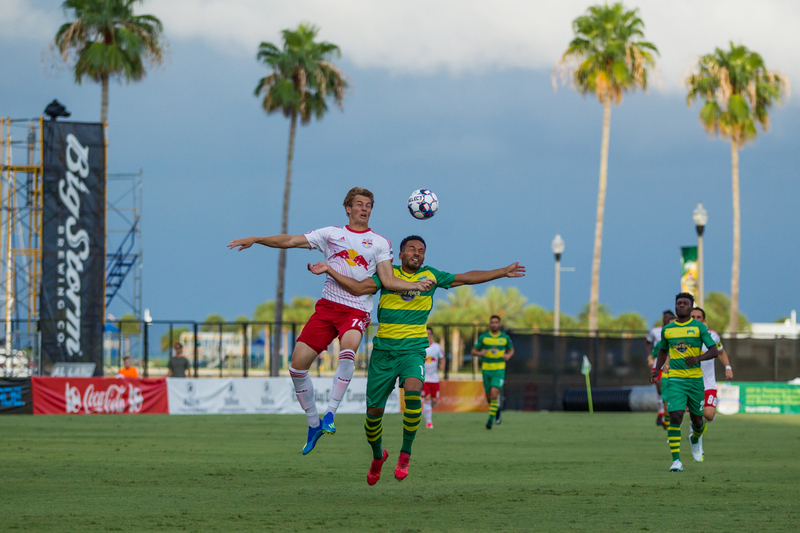 Tampa Bay’s lead wouldn’t last much longer, though, with New York’s Brian White heading a Chris Lema cross past Rowdies goalkeeper Cody Mizell for the equalizer in the 62nd minute. 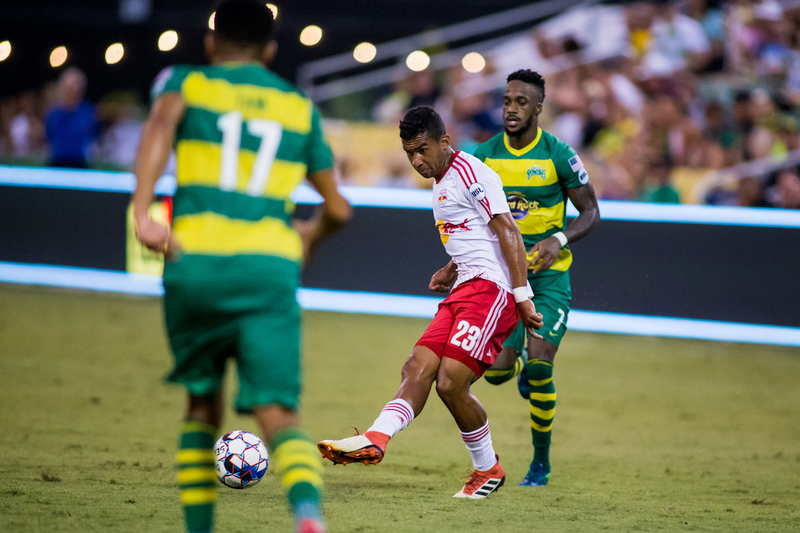 Though New York held much of the ball from there on, neither team really created a ton of danger. 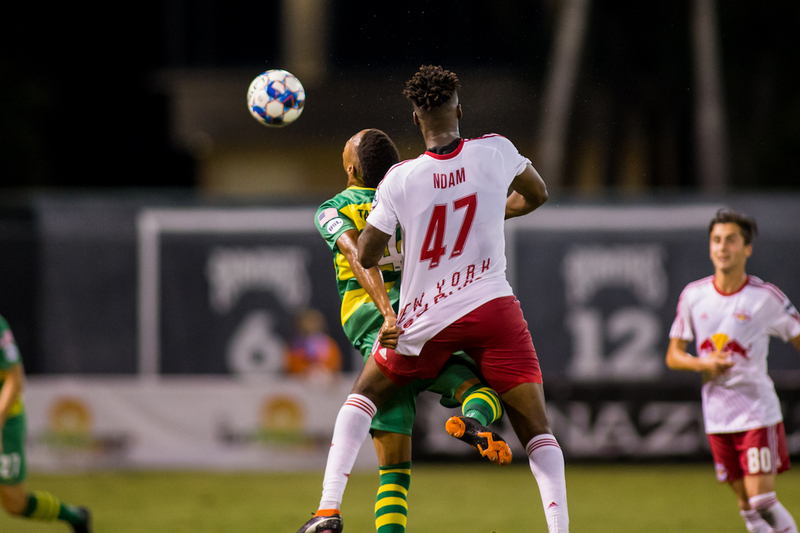 The short-handed Rowdies did not register a shot in the second half after posting seven in the first half. 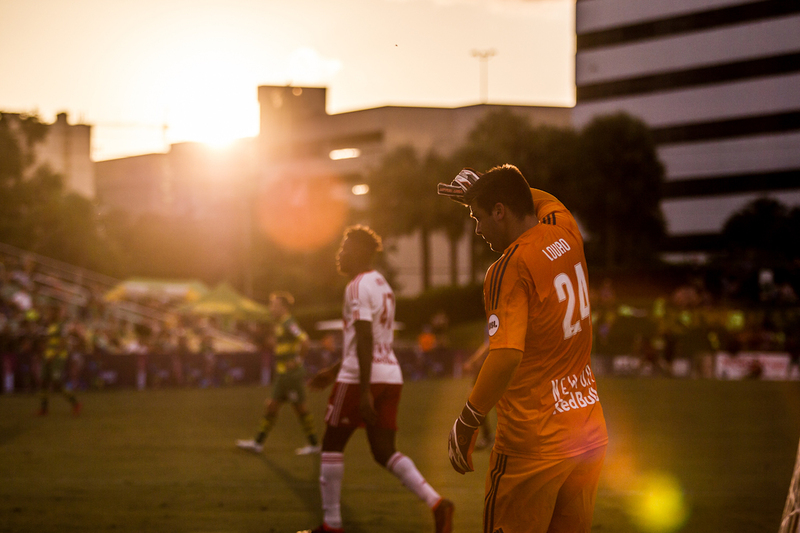 It was a slow and miserable denouement after a match that started at a breakneck pace. 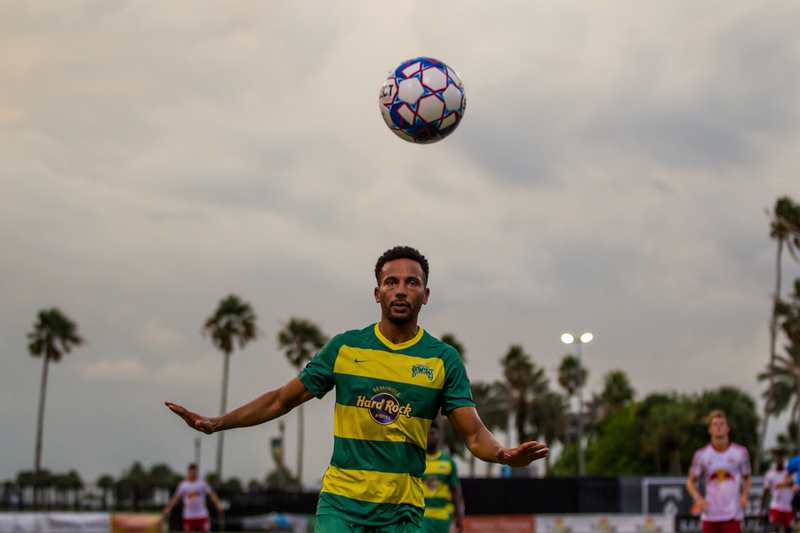 New York’s Jared Stroud opened the scoring barely more than a minute into the match with a right-footed curler from the corner of the box, but Tampa Bay struck back immediately. 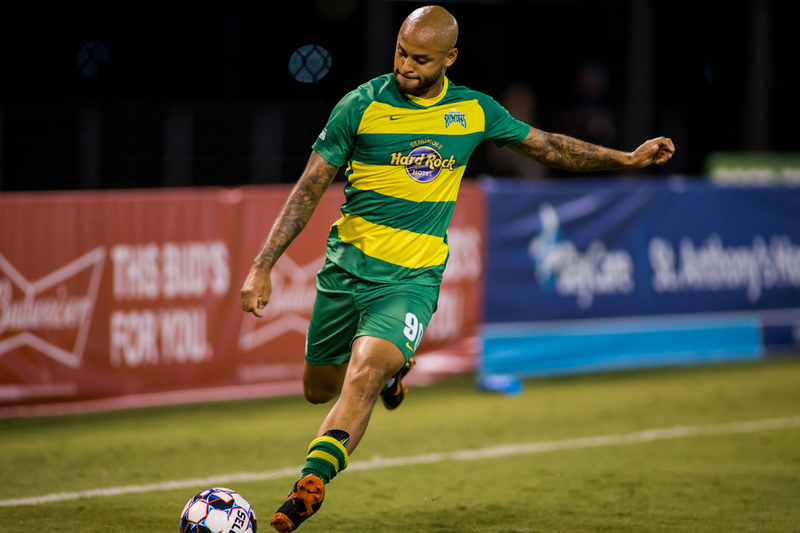 Flemmings cut into the box in the seventh minute and drew a penalty, which was scored by Stefano Bonomo a minute later to pull the match even at 1-1. 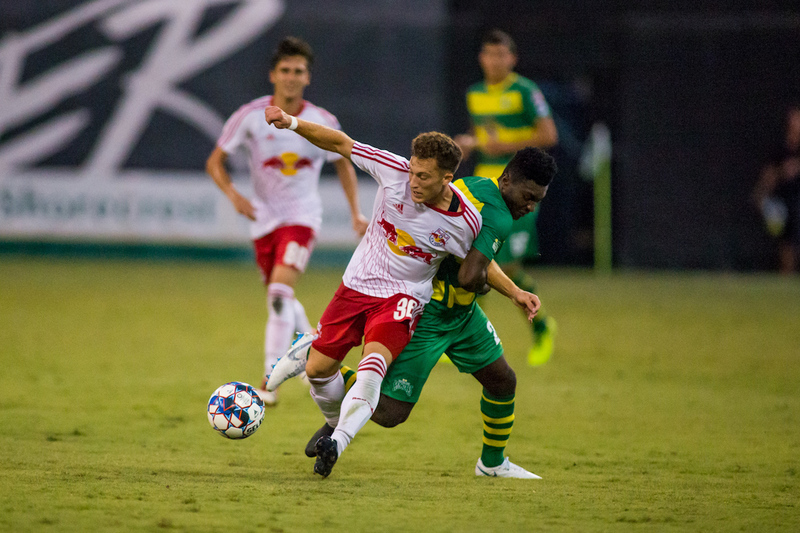 Bonomo was back on the attack less than a minute later, beating New York goalkeeper Evan Louro for his second goal of the night in the ninth minute. 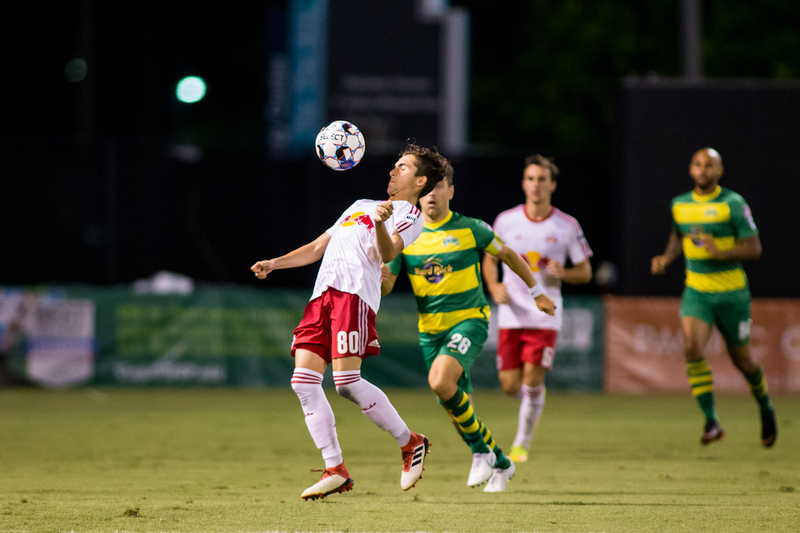 Only 50 total seconds passed between Bonomo’s two goals and his second goal came only 14 seconds after the Red Bulls restarted play. 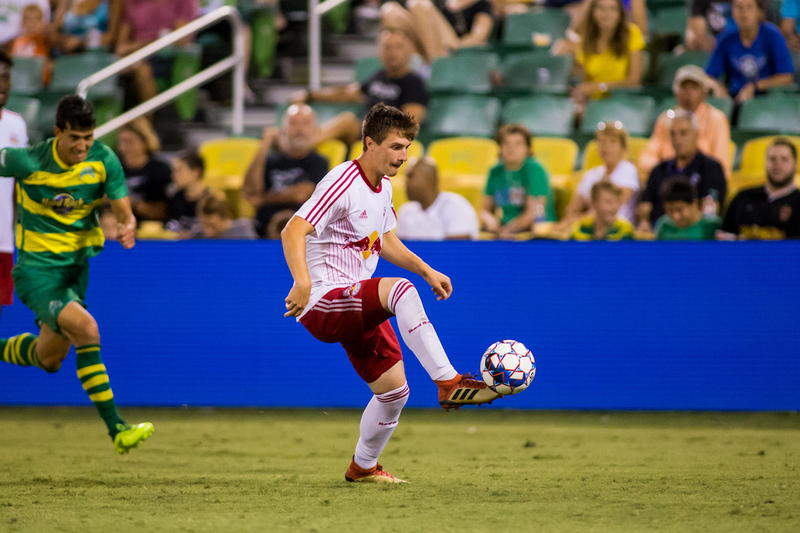 Flemmings and Bonomo are both former Red Bulls players who combined for 41 goals for New York in their time there. 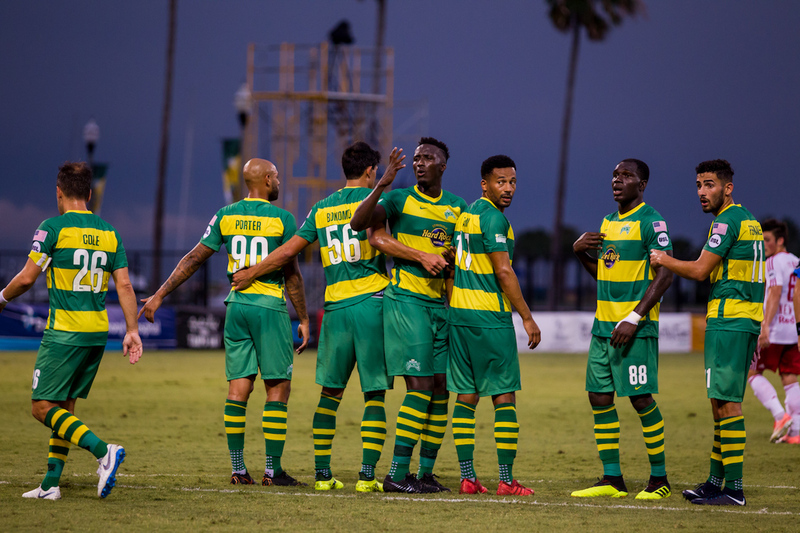 With another point in the bag, the Rowdies will head to Canada next week to take on the Ottawa Fury FC on Friday, August 3 before returning home to host back-to-back matches against the Charleston Battery on August 8th and North Carolina FC on August 11.